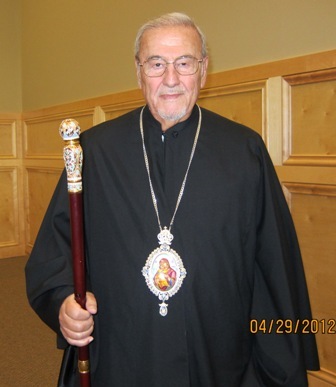 Yesterday the Orthodox Church mourned the passing of the Metropolitan of North America, Philip Saliba. Metropolitan Saliba was known for being one of the Christian personalities most dedicated to his Arab nationalism, even though he spent most of his years in the diaspora, between Europe and North America starting in the 1950’s. He built sturdy bridges between the Orthodox community and the other Christian and Muslim communities on the basis of the complimentarity of the heavenly religions and their unanimity in insisting on justice and tolerance. Saliba was very worried about the Middle East. He described the “Arab Spring” as “an Autumn of jaundiced rage.” He hated fighting with weapons and slogans or even by burning tires and closing streets, just as he hated intellectual darkness. He longed for the wind of tolerance, love and dialogue, freedom and democracy, which he believed that the Middle East had not yet felt. 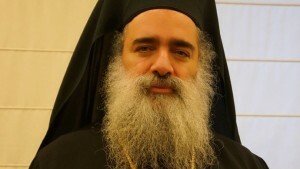 Over the three years of the Syrian Crisis, Metropolitan Saliba took stances and made contacts in order to stop foreign–especially American– intervention from fueling the conflict. After the kidnapping of the two metropolitans of Aleppo, Youhanna Ibrahim and Boulos Yazigi, he had a meeting with the former ambassador of the United States in Damascus, Robert Ford, and he asked him, “Where are the two bishops, Mr. Abmassador?” The latter replied, “I’m sorry. I have no good news about them. I do not know anything about them.” Saliba told al-Akhbar, “He was lying. I believe he knows, that the CIA knows, and also the international community. But they don’t care. 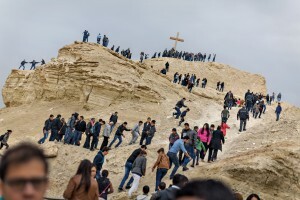 Western Christians, other Westerners, and the international community don’t care about what we’re suffering in Syria especially.” He accused the United States of being behind the destruction of Syria, pointing out that “Our government [i.e., the United States] is the one sending weapons to the rebels in Syria in order to prolong this absurd, ridiculous, senseless war.” He believed that there is a plot against Syria because it is in agreement with Iran and Hezbollah. 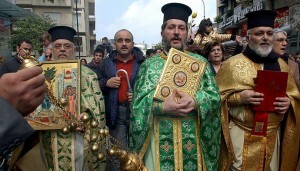 Metropolitan Saliba was impressed with the Resistance in Lebanon and by its victory in July 2006. He stressed that he wanted there to be more July victories against the enemy. He wrote poetry about the Resistance, including a poem about Sana’a Mehaidli that he memorized and would repeat whenever he talked about heroic deeds in the Middle East. Metropolitan Saliba was born in the Lebanese town of Abu Mizan on June 10, 1931, the fourth of five children. He did his elementary studies at the school in Choueir and completed his studies at Balamand, near Tripoli. He finished his secondary school studies at the Orthodox school in Homs.